The Panamera offers all wheel drive to maximize traction under poor conditions, especially in ice and snow. The IS-F doesn’t offer all wheel drive. Compared to metal, the Panamera’s plastic fuel tank can withstand harder, more intrusive impacts without leaking; this decreases the possibility of fire. The Lexus IS-F has a metal gas tank. Both the Panamera and the IS-F have standard driver and passenger frontal airbags, front side-impact airbags, head airbags, front seatbelt pretensioners, height adjustable front shoulder belts, four wheel antilock brakes, traction control and electronic stability systems to prevent skidding. The Panamera’s corrosion warranty is 4 years longer than the IS-F’s (10 vs. 6 years). J.D. Power and Associates rated the Panamera third among large premium cars in their 2010 Initial Quality Study. The IS-F isn’t in the top three in its category. J.D. Power and Associates’ 2010 Initial Quality Study of new car owners surveyed provide the statistics that show that Porsche vehicles are better in initial quality than Lexus vehicles. J.D. Power ranks Porsche first in initial quality, above the industry average. With 5 more problems per 100 vehicles, Lexus is ranked fourth. J.D. 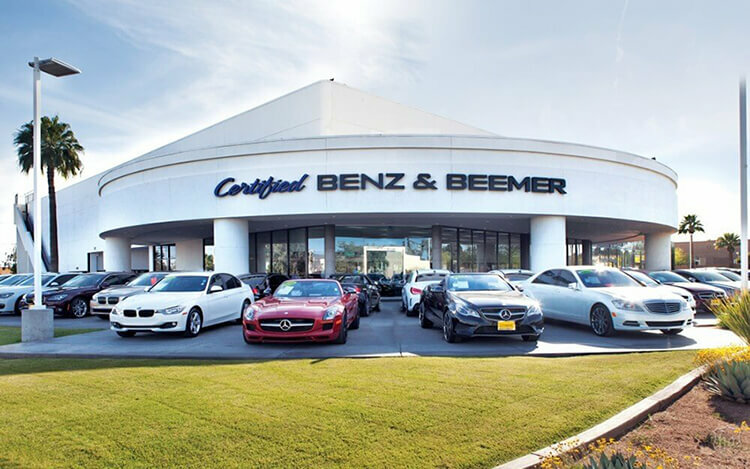 Power and Associates’ surveys of the owners of three-year-old cars provide the long-term dependability statistics that show that Porsche vehicles are more reliable than Lexus vehicles. J.D. Power ranks Porsche first in reliability. With 5 more problems per 100 vehicles, Lexus is ranked third. The Panamera S’ standard 4.8 DOHC V8 produces 18 lbs.-ft. more torque (389 vs. 371) than the IS-F’s 5.0 DOHC V8. The Panamera Turbo’s standard 4.8 turbo V8 produces 84 more horsepower (500 vs. 416) and 145 lbs.-ft. more torque (516 vs. 371) than the IS-F’s 5.0 DOHC V8. On the EPA test cycle the Panamera S RWD gets better fuel mileage than the IS-F (16 city/24 hwy vs. 16 city/23 hwy). The Panamera’s standard fuel tank has 4.2 gallons more fuel capacity than the IS-F (21.1 vs. 16.9 gallons), for longer range between fill-ups. The Panamera S4/Turbo’s standard fuel tank has 9.5 gallons more fuel capacity than the IS-F (26.4 vs. 16.9 gallons). The Panamera Turbo’s standard brakes have 38% more swept area (the area covered by the brake pads) than the IS-F (836 vs. 606 square inches), so the Panamera has more braking power available. The Panamera offers optional heat-treated ceramic brake rotors, which last ten to twenty times as long as conventional cast iron rotors, don’t rust, don’t fade during repeated high speed braking, and their lighter weight contribute to better braking, handling and acceleration. The IS-F doesn’t offer ceramic brake rotors. For better traction, the Panamera has larger standard tires than the IS-F (F:245/50R18 & R:275/45R18 vs. F:225/40R19 & R:255/35R19). The Panamera’s optional tires are larger than the largest tires available on the IS-F (F:255/40R20 & R:295/35R20 vs. F:225/40R19 & R:255/35R19). For better ride, handling and brake cooling the Panamera offers optional 20 inch wheels. The IS-F’s largest wheels are only 19 inches. The Panamera offers an available adjustable active suspension system, which counteracts cornering forces actively, limiting body roll and improving handling and stability. Lexus doesn’t offer an active suspension on the IS-F. The Panamera offers an optional driver-adjustable suspension system. It allows the driver to choose between an extra-supple ride, reducing fatigue on long trips, or a sport setting, which allows maximum control for tricky roads. The IS-F’s suspension doesn’t offer adjustable shock absorbers. The Panamera has a standard automatic front and rear load leveling suspension to keep ride height level with a heavy load or when towing. The Panamera’s height leveling suspension allows the driver to raise ride height for better off-road clearance and then lower it again for easier entering and exiting and better on-road handling. The IS-F doesn’t offer a load leveling suspension. For a smoother ride and more stable handling, the Panamera’s wheelbase is 7.5 inches longer than on the IS-F (114.9 inches vs. 107.4 inches). For better handling and stability, the average track (width between the wheels) on the Panamera is 3.9 inches wider in the front and 5.5 inches wider in the rear than the track on the IS-F. The Panamera Turbo 4 handles at .97 G’s, while the IS-F pulls only .92 G’s of cornering force in a Car and Driver skidpad test. As tested by Road & Track while at idle, the interior of the Panamera Turbo 4 is quieter than the IS-F (51 vs. 52 dB). Because it has more passenger and cargo room, the Panamera is rated a Compact car by the EPA, while the IS-F is rated a Subcompact. The Panamera has .8 inches more front headroom, 1.5 inches more rear headroom and 2.6 inches more rear legroom than the IS-F.
For enhanced passenger comfort on long trips the Panamera’s available rear seats recline. The IS-F’s rear seats don’t recline. The Panamera’s standard rear seats fold to accommodate long and bulky cargo. The IS-F doesn’t offer folding rear seats, only a ski pass-through. The Panamera offers a remote vehicle starting system, so the vehicle can be started from inside the driver's house. This allows the driver to comfortably warm up the engine before going out to the vehicle. The IS-F doesn’t offer a remote starting system. The Panamera’s instruments include an oil pressure gauge and a temperature gauge – which could save your engine! Often ‘idiot lights’ don’t warn you until damage has been done. The IS-F does not have an oil pressure gauge. The power windows standard on both the Panamera and the IS-F have locks to prevent small children from operating them. When the lock on the Panamera is engaged the driver can still operate all of the windows, for instance to close one opened by a child. The IS-F prevents the driver from operating the other windows just as it does the other passengers. The Panamera’s rain-sensitive wipers adjust their speed and turn on and off automatically based on the amount of rainfall on the windshield. This allows the driver to concentrate on driving without constantly adjusting the wipers. The IS-F’s manually variable intermittent wipers have to be constantly adjusted. Heated windshield washer nozzles are standard on the Panamera to prevent washer fluid and nozzles from freezing and help continue to keep the windshield clear in sub-freezing temperatures. The IS-F doesn’t offer heated windshield washer nozzles. To help drivers see further while navigating curves, the Panamera offers optional adaptive headlights to illuminate around corners automatically by reading vehicle speed and steering wheel angle. The IS-F doesn’t offer cornering lights. The Panamera offers optional automatic dimming rear and side view mirrors which automatically darken quickly when headlights shine on them, keeping following vehicles from blinding or distracting the driver. The IS-F has an automatic rear view mirror, but its side mirrors don’t dim. The Panamera’s optional air conditioned front seats cool the driver and front passenger and help take the sting out of hot leather in Summer. The IS-F doesn’t offer air conditioned front seats. To help keep rear passengers entertained, the Panamera offers optional rear seat controls for the radio which can play a separate audio source. The IS-F doesn’t offer rear seat audio controls.